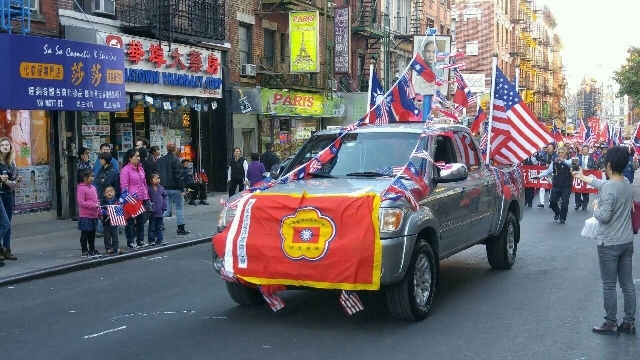 New York Celebrates Double Tenth, Republic of China Founding Birthday, Happy 104th! In response to tw.news.yahoo.com article, “DPP attempts to rebuild a new Republic of China”. 1) During the drafting of the May 5, 1936 ROC Constitution, Taiwan was still under Japan rule, after the 1895 Treaty of Shimonoseki (Maguan in pinyin) when the Qing government cut Taiwan to Japan after the defeat of China’s Northern fleet. There is no denial of the history that Japan surrendered unconditionally to China and the Allies in 1945, and Taiwan made October 25 as a national holiday to commemorate the return of Taiwan to ROC on October 25, 1945. 2) In the 1943 Cairo Conference, it was agreed that ROC was to take back Taiwan and Manchuria once Japan surrendered. 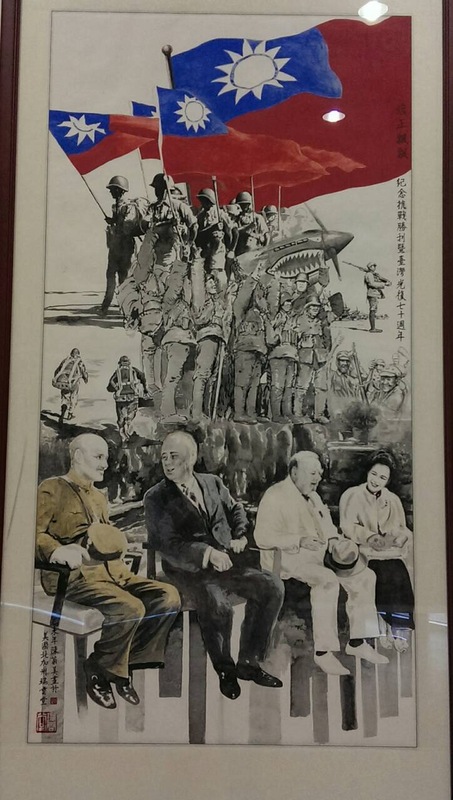 The attendees included Roosevelt, Churchill, President Chiang Kai-shek, see photo. 3) July 1945 Potsdam Conference bound Japan to return Taiwan and Manchuria to the Republic of China. 4) At the end of the US Civil War, the South surrendered and signed a treaty. ROC has never signed any agreement with PRC, nor did ROC ever surrender. We simply retreated to Taiwan province which we won back from Japan after 50 years and with 3 million military sacrificed in the resistance war. The Taiwan provincial government system was abolished by Japan colonial police conscious Lee Tenghui, who was enthroned due to American policy to promote Taiwanese locals. This policy enabled a Japanese fascist extreme right wing, with motivation to destroy ROC as we defeated Japan in World War II. President Lee prides himself to have the first direct election by the entire population, but missed the point that democracy should not be a majority hate to drive out minorities and encourage hate crime by calling minorities pigs. He portrays himself as a promoter for democracy, but that is only extended to his own group of people. America’s policy should be aware that a democracy’s umbrella should cover all people, nobody should have the prerogative to destroy other groups hard-earned infrastructure and enterprises. Lee abolished the provincial construct, so to later found an independent country by elevating a province level to a nation status. Lee’s brother died in the Philippines fighting against the US in the 1940’s. His loyalty is toward the Japan fascist Colonial Empire like the Hitler regime. 5) ROC Constitution includes mainland China, as we fought hard against fascist Japan and won back our liberty, although we do have sovereignty, we do not currently have ruling power over the mainland. So the 1.3 billion Chinese compatriots do have rights to cast votes to veto DPP’s Tsai attempts to split Taiwan. 6) America entered the Civil War because 11 southern states legislatures voted to secede, which led to the war. DPP’s chances of building a Taiwan nation will have a success rate of zero, because it is simply not legal, unless all the lawyers die out or mainland Chinese compatriots are all willing to give up Taiwan. 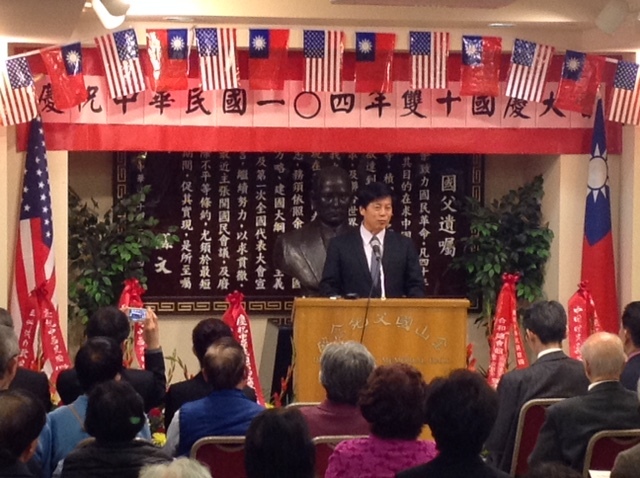 Taiwan people were on the side of the Japanese fascists to attack and murder mainland Chinese. We defeated Japan and took back the lost land after 50 years. We would like both Lee Tenghui and DPP Chairman Tsai to go to Nanjing to bow down to those victims, else they are not eligible to lead ROC as a nation, as over 30 million ROC subjects died in resistance against Japan, that is the essence of ROC courage.